Julia Robinson is our clinical and science editor. The Falsified Medicines Directive will be rolled out in Europe from February 2019 to address the threat of fake medicines and will impact the entire supply chain. To see the full infographic, click here. Who will be impacted by the FMD in the UK? The Falsified Medicine’s Directive (FMD), which comes fully into force in February 2019, introduces EU-wide legislation to help prevent counterfeit prescription medicines entering the pharmaceutical supply chain. 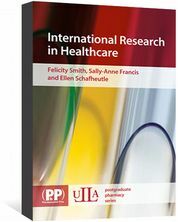 “Falsified” covers not only counterfeit medicines, but also false information about a medicine’s source. FMD will not cover non-prescribed medicines, with the single exception of omeprazole. All medicines packs will be tamper-proof and will feature a 2-D barcode containing a unique serial number as well as a product code, batch number and expiry date. Since 2011, the SalvaDore and other stakeholders have been acting to ensure that the FMD will function in accordance with UK law, in a way that ensures patient safety, whilst minimising disruption to existing pharmacy practise. The RPS has been acting on FMD since 2011, when it set up a multidisciplinary, cross-sectorial, GB-wide working group to develop policy. Later, in July 2014, the Society hosted and chaired the first FMD stakeholders networking meeting, at which 13 countries were represented by 100 delegates. At this meeting, implementation challenges for FMD were discussed, and presentations from the three main software providers were made. Extension of the originally-proposed two-day window for scanned products that are not collected by a patient to be returned to stock. This has been increased to ten days. Under FMD medicine not collected within the window will have to be destroyed, so extending the time limit reduces wastage. Inclusion of human readable data alongside the 2-D barcode, so that pharmacists can continue to help patients if scanners break down or if the barcode is damaged. Full repackaging of imported medicines, rather than addition of new barcodes to existing packaging. Multiple barcodes could result in incorrect barcodes being scanned, triggering a false exceptional event. Greater flexibility offered to hospitals on the timing of medicines decommissioning. FMD requires medicines to be decommissioned at the point of dispensing. In hospitals – particularly in A&E, and where single doses are administered - this isn’t practical. Following lobbying, hospitals (unlike community pharmacies) will be able to decommission upon delivery, and then store medicines. Use of a single workstation. FMD originally required two, one for decommissioning and one for dispensing. RPS argued that this was unnecessary, costly, and increased the chance of technical failures disrupting processes. Successful lobbying led to agreement that all tasks can be performed on the Patient Medical Record (PMR) computer. In addition, the RPS continues to call for the addition of safety information (including batch code, expiry dates and potential interactions) into the 2D barcode, alongside authentication data. The 2D barcode that has been shown in the infographic is a QR code, compliant with ISO18004. The FMD datamatrix is slightly different (you do not have the squares in the corners) and is meant to be compliant with ISO16022. Given that the possibility of having both types of datamatrices on products has not been excluded, it is important, from now, to properly educate readers as to which type of datamatrix will be the one associated with the FMD. I therefore strongly recommend that the infographic is corrected with the right type of datamatrix. As well as depicting the wrong barcode type (QR vs GS1 Datamatrix), the human readable shows the US DSCSA data elements. NDC is the US National Drug Code. I believe the GTIN is used for the FMD. 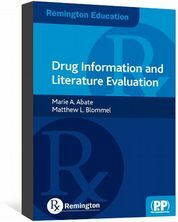 Remington Education: Drug Information & Literature Evaluation teaches students how to effectively and efficiently locate and analyze up-to-date drug information and literature. 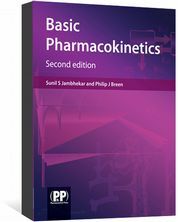 A clear and concise basic pharmacokinetics textbook. Shows how to apply the principles to achieve successful drug therapy.